Are you looking for the time and resources to do the work you love? If you build a profitable business, you’ll be happier, you’ll be less stressed, you’ll have stronger relationships with your family and friends. Money may not buy you happiness, but running an architecture firm that works most certainly will. 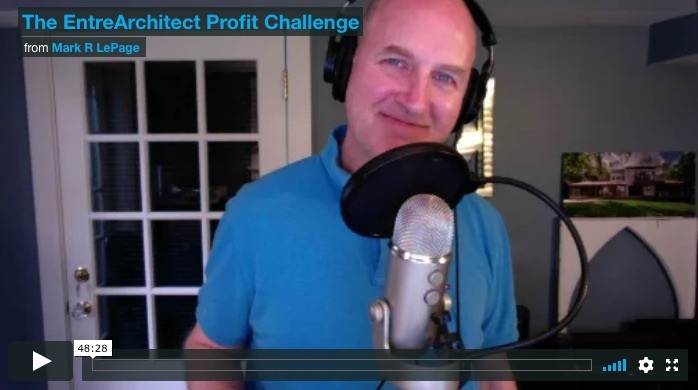 This week on EntreArchitect podcast, How to Run a Profitable Architecture Firm in 2019. 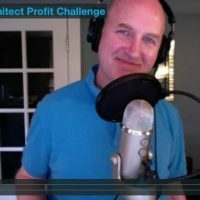 To hear more about creating a profit plan for 2019, listen to the podcast or check out the webinar here! Watch the video recording of this podcast episode here. Want Some Help To Create Your Profit Plan? If you want some help and a little bit of “virtual hand-holding”, you’re invited to The EntreArchitect Profit Workshop starting November 6th. You’ll find resources, support, encouragement and a proven step-by-step process that will help you build a financial management system that works for your small firm. Investing 4 weeks to build a profit plan for your small firm may change your life and business forever. Learn more here! But it is funny that when I mention this to other small firm owners they rarely have one. Spread the word, my friend. That is fantastic Jennifer. I am sure you benefit from your planning. More confidence. More time. More success. Thanks for the encouragement. We will keep spreading the word.